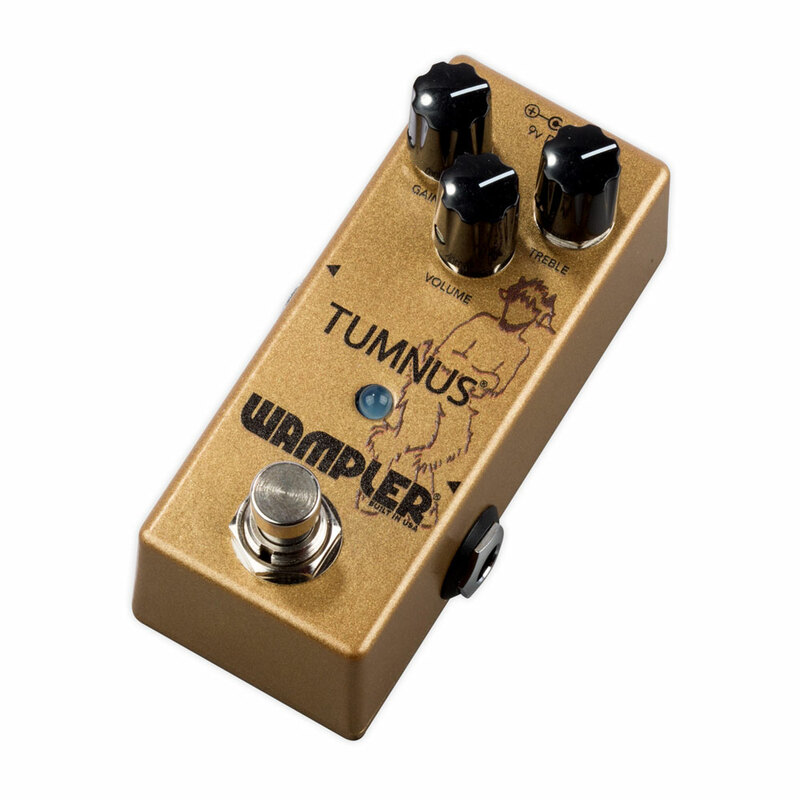 The Wampler Tumnus is their incredibly popular Klon style overdrive/boost pedal. 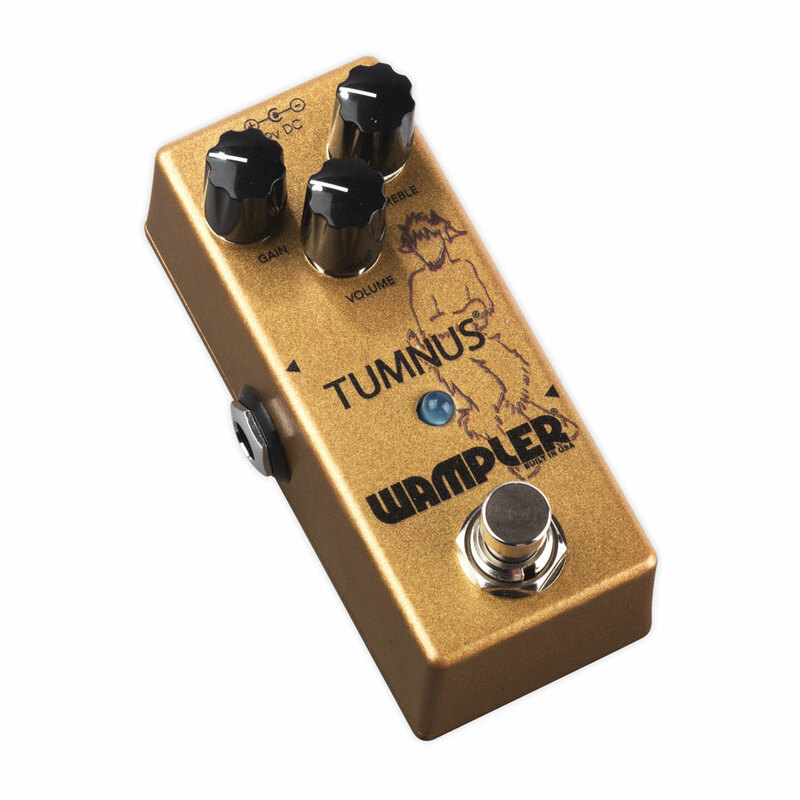 The Tumnus is a versatile addition to any setup and style, stack it with another pedal to help push or shape the total amount of gain, use it as a standalone overdrive, or use it as a slightly dirty boost to push the front end of your amp over the edge. 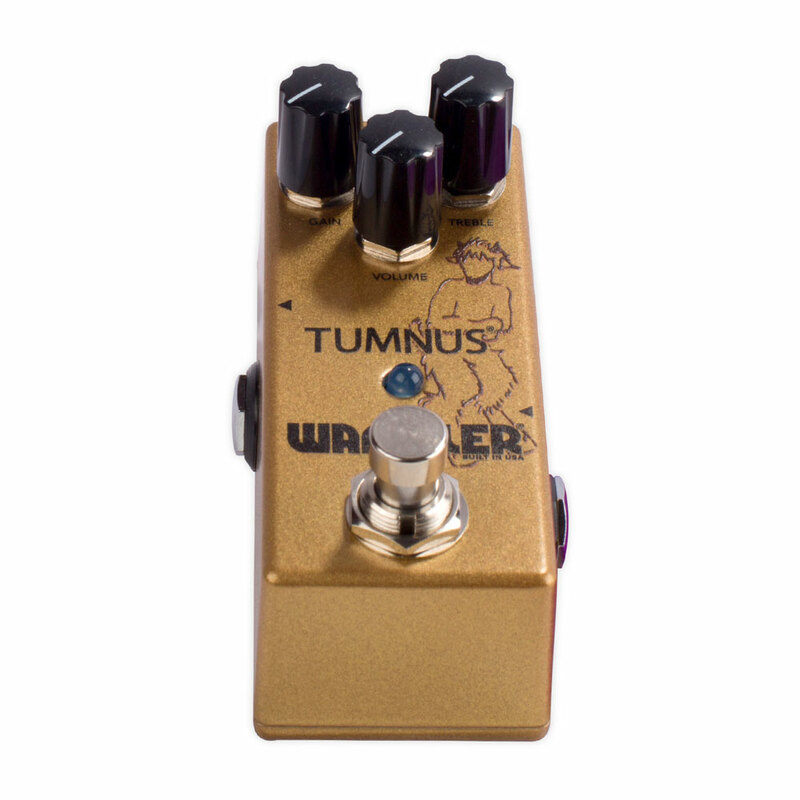 You can even use it as a buffer, because just like the original this pedal is not true bypass, instead, faithful to the original, this pedal contains a buffered bypass tone legendary in its own right. Featuring a streamlined 3 control knob set up (Volume, Gain, and Tone), you can quickly dial in your tones no matter what the gig calls for. 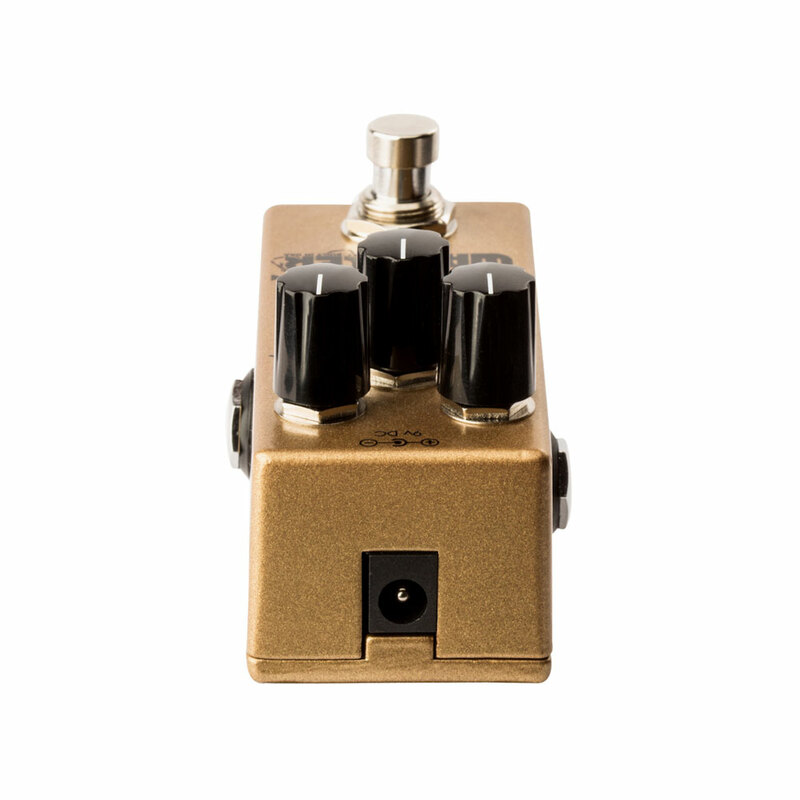 Whether you want to use this pedal as an OD or a boost, you can be sure that all of the low end is present, and beautifully warm, the mid hump is placed perfectly and the gain itself is to on point. 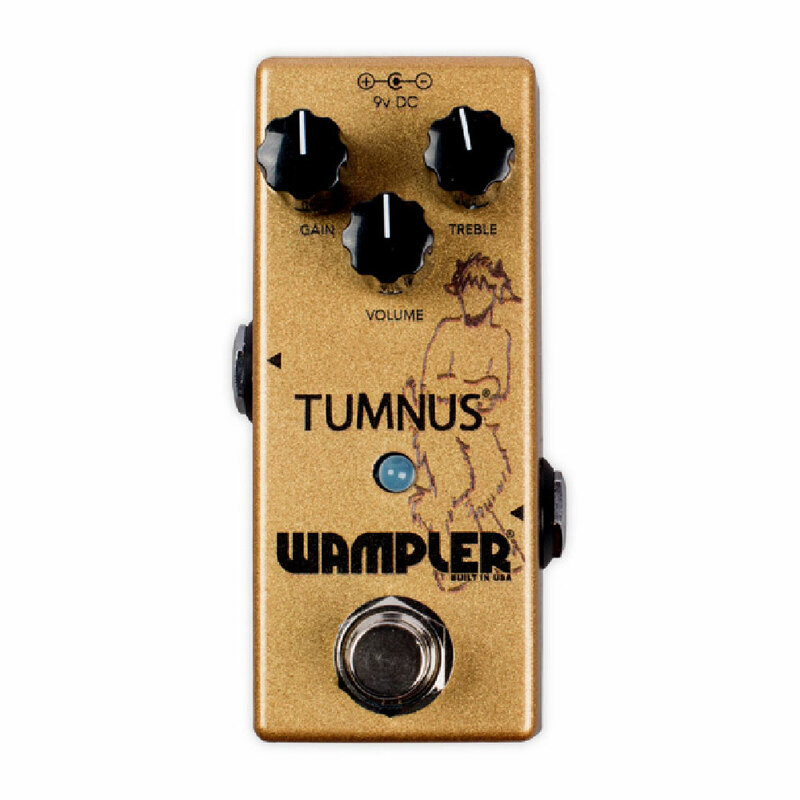 The Wampler Tumnus will help you understand what the the Klon hype has been about.